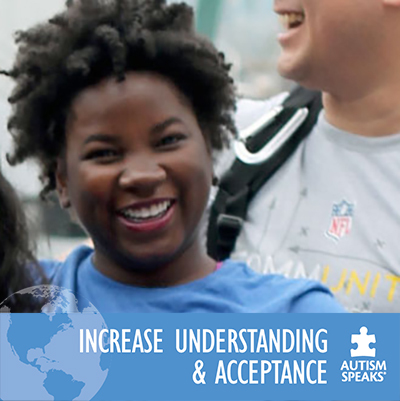 Wear something blue on April 2 in support of understanding and acceptance for people with autism. Get Official #LightItUpBlue gear at our estore. Take a selfie with our selfie sign and tag it #LightItUpBlue! Add the #LightItUpBlue frame to your Facebook or Twitter profile photo! Start a Facebook fundraiser for World Autism Month in three easy steps! On April 2nd, many landmarks around the globe will light up blue! Join them and light your home or business BLUE! Get BLUE Philips light bulbs at Home Depot. Visit rosco.com/LIUB to get blue light filters.